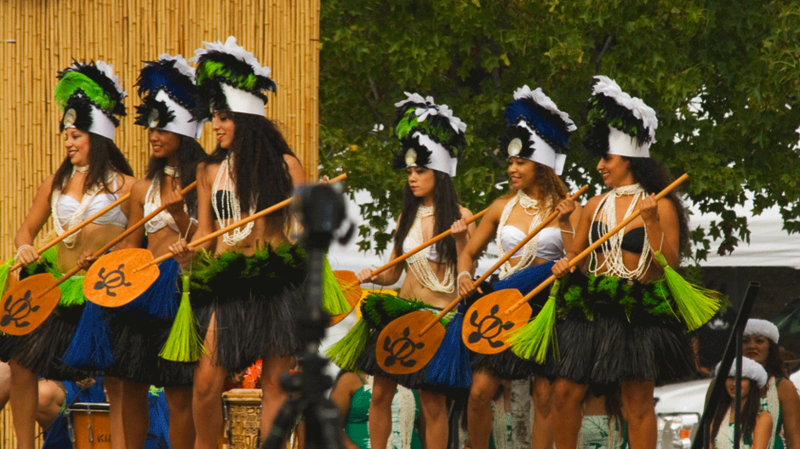 This year the San Diego Shaka Fest will have live entertainment performed old-school – unplugged! That’s correct; our entertainers will be playing their instruments without a sound system.Â You will get to hear them perform with natural sound.Â So come sit on the grass next to the beach, pull up a lawn chair or a blanket as we take you back in-time to the clean soothing natural sounds that came from the Central & South Pacific Islands â€“ unplugged! It was our hope to have a “Keiki Hula” competition dedicated to Kumu Hula Auntie Barbara Anuenue Finneran this year but it did not work out. Â We will try again next year and it will be dedicated to her when it happens. Â However, many of herÂ haumÄna will be gathering at the San Diego Shaka Fest this year on Saturday April 25, 2015 to do a special hula and dedication to our beloved kumu hula Auntie Barbara Anuenue Finneran. Â We hope you will join us for this special moment when we get to show our gratitude to a very special Kumu Hula who selfishlessly gave so much of herself and did her part to perpetuate the Hawaiian Culture.